After a month of keg conditioning, it’s time to do a taste test of my Old Speckled Hen clone attempt! The beer is a rich amber color with orangish hints; a modest bit of chill haze. Head is low, creamy and ivory-colored; fairly persistent. Light caramel notes, with a bit of maltiness at the core. Lightly malty, with a lingering bitterness on the finish. Very hop-centered. Unfortunately, I think the bitterness overrides the maltiness more than I like. This becomes a better beer as it warms up a bit, though. In the mouth, the carbonation has an almost creamy effect that is quite nice. The overall body, though, is moderately thin and a bit thinner than I prefer in this type of beer. In it current incarnation, probably not. The aroma is delightful, but the bitterness:body ratio is just a too high for my preference. I attribute this primarily to the fairly low mash temperature called for in the recipe, as well as use of the highly attenuative Nottingham yeast strain. If I were to do this again, I would mash higher (maybe 156°), use a different yeast strain (perhaps WLP002), and cut back the bittering addition just a touch. As it is, the current iteration just doesn’t hit the round, malty notes that the original OSH does. 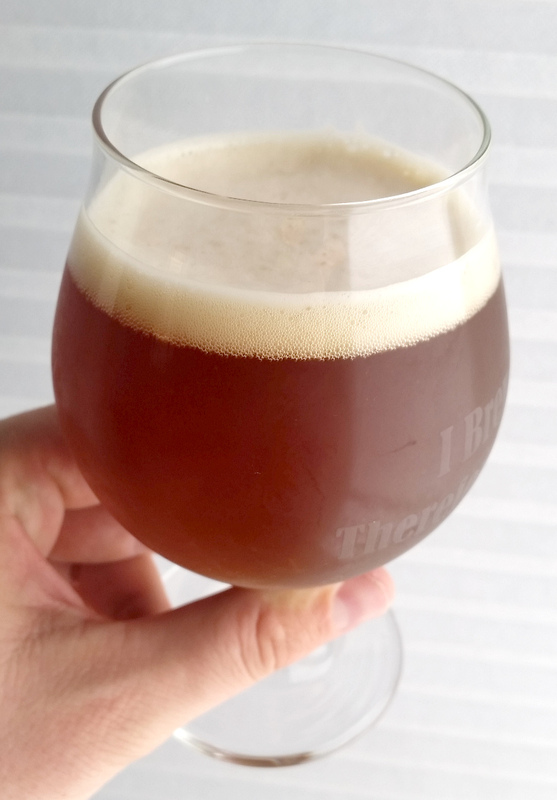 Note (19 July 2015): After a few more weeks in the keg, this is a much better beer. The bitterness has rounded out quite a bit, and more balanced relative to the maltiness. So, I would up it to 6/10; brew again, with modifications to the mash temperature and a longer conditioning time (probably 6 or 7 weeks). This entry was posted in clone, ESB, pale ale, tastings and tagged Old Speckled Hen. Bookmark the permalink.